379 in stock Need More ? In this season, Lucy (Alison Fernandez) attempts to help Henry Mills (Andrew J. West) when a new curse brings a number of characters to Hyperion Heights in Seattle, Washington. The episodes are: 'Hyperion Heights', 'A Pirate's Life', 'The Garden of Forking Paths', 'Beauty', 'Greenbacks', 'Wake Up Call', 'Eloise Gardener', 'Pretty in Blue', 'One Little Tear', 'The Eighth Witch', 'Secret Garden', 'A Taste of the Heights', 'Knightfall', 'The Girl in the Tower', 'Sisterhood', 'Breadcrumbs', 'Chosen', 'The Guardian', 'Flower Child', 'Is This Henry Mills? 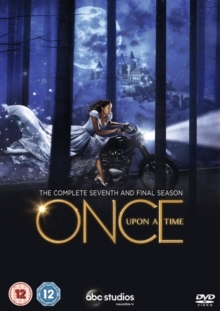 ', 'Homecoming' and 'Leaving Storybrooke'.